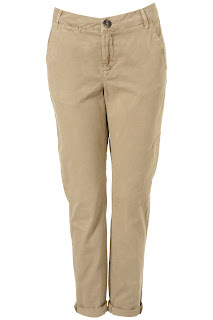 Helen has matched her classic chinos from Topshop with a neon silky top from Warehouse, French Sole pumps and a black Zara Jumper (old). Gorgeous - those French Sole pumps are on my wish-list for sure. How are you dressing during this lovely sunny spell? And more importantly...have you got your toes out yet?! No toes out yet, need a pedi first!! But did buy a pair of red pumps for £26 from Evans (they do extra wide so my big feet are comfortable!) which makes my feet feel summery and at least I am out of socks/boots/converse footwear! Gap curvy jeans, white embroidered gypsy top and Kew grey linen blazer. Thats me today! 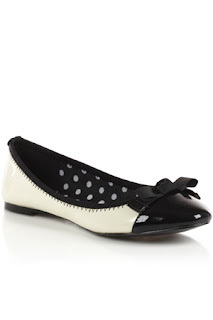 I'd love a pair of French Sole pumps, firmly at the top of my shoe wishlist also (along with lots others!!) I wore my flip flops for all of ten minutes today before having to find something more sensible to drive in! no toes out yet but I have had bare feet in pumps. Have to take it step by step! I love the classic chino colour, it goes with so many things. The last pair look so pretyy!